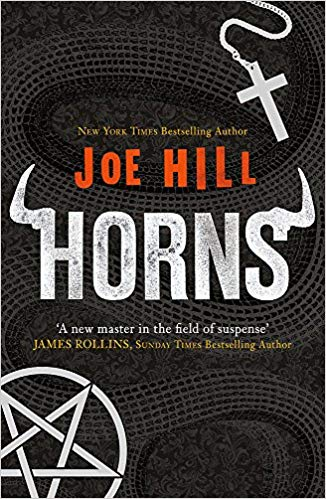 Joe Hill’s Horns, his second novel, is based on a concept which he had apparently been working on for some time – the tale of a man given the magical power to see through people’s socially acceptable exteriors to perceive their darkest secrets within. Early, abortive attempts at this concept were made with various concepts for how this power would work and what sort of aesthetic it would have, but Horns finds a suitably powerful vehicle for this premise – that being Satan himself. Our hero, Ignatius “Iggy” Perrish, is the privileged son of a famed jazz musician, who can’t ask for anything more in life. His elder brother is a national celebrity who hosts a primetime talk show, his best friend is a trusted aide to a Republican congressman, and the love of his life, Merrin Williams, was brutally murdered under circumstances which left enough circumstantial evidence to make Ig look guilty as hell, but not enough to pin charges on anyone. It is now an open secret that Joe Hill is Stephen King’s son. Just as King’s Richard Bachman persona was outed when his books got popular, Hill’s cover was blown by Heart-Shaped Box, his debut novel. He tried to hide for us for a while, putting out his first collection (20th Century Ghosts) through PS Publishing, the excellent UK small press which provided Ramsey Campbell with a British headquarters during that time when he was without a major UK publisher. 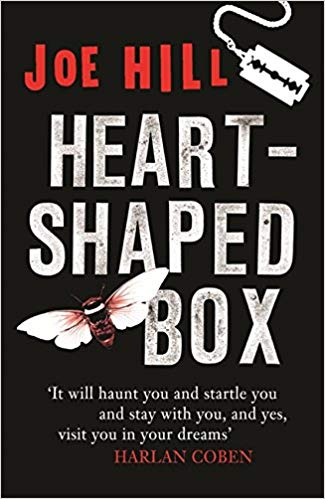 But when Heart-Shaped Box came out, the true situation was obvious: it couldn’t have been written by anyone who wasn’t creeping into King’s bedroom at night, cutting open one of the grandmaster’s veins, and draining the talent out drop by drop. But it is possible to overplay the connection. There’s foolish and mildly insulting speculation that King lent a hand here and there in the book, but I don’t give any credence to that. 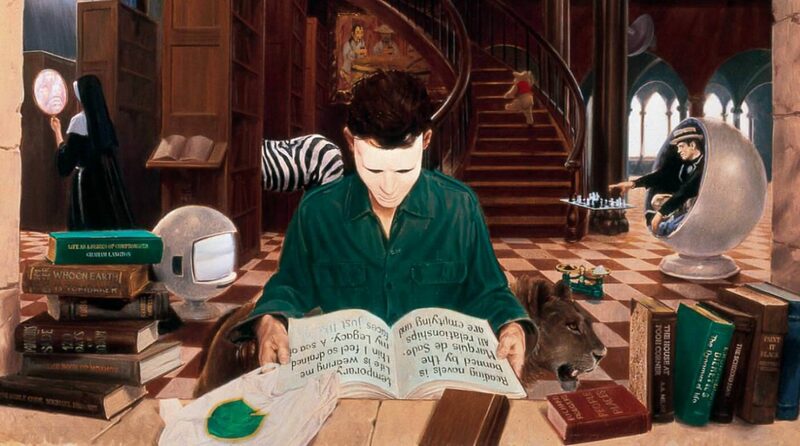 Firstly, although the book is squarely within a character-driven horror tradition which in recent times has been largely shaped by King’s work, it still has a unique stylistic voice. Secondly, King isn’t capable of writing this well these days. He may never have been; Heart-Shaped Box is more satisfying than I remember any King novel being.